Today we woke up to a new Avengers 4: Endgame trailer and like the rest of you basic nerds, I gobbled it up then immediately watched it again to squint for cool stuff. Unfortunately I didn’t see Korg, but at least Paul Rudd’s Ford shaggin’ wagon apparently survived to make an appearance in the next epic Marvel movie. The trailer follows pretty much the same cadence of every other comic book movie commercial: drama, drama, sense of wonder, flash-bang-explosion, drama, comic relief-assisted optimism. In this case, that last part is provided by Rudd’s character Scott Lang a.k.a. 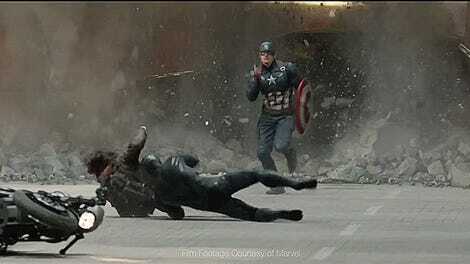 “Ant-Man” rolling up to Captain America’s house/stronghold/whatever what is undoubtedly Just The Right Moment. And hey, there’s his 1972 Ford Econoline! At least, we’re pretty sure it’s a ’72. Ford’s main PR guy seems to think so and so does IMCDB. Our own nerd Jason Torchinsky figures “’72 to ’74” at least. That would put it at the very end of the Econoline’s second generation. A much more truckish van than the original Econoline; this would have had Ford’s Twin I-Beam suspension similar to the era’s F-series trucks. Sliding doors would have been new for ’72. 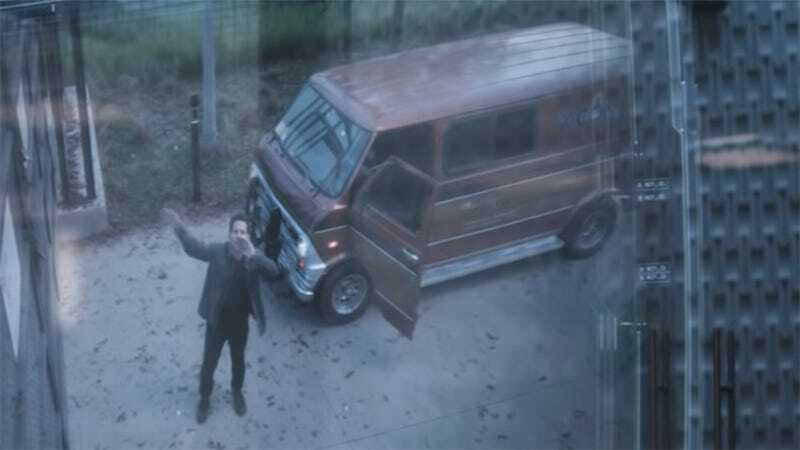 You might remember that the same brown Econoline was in the original 2015 Ant-Man movie and also the 2018 sequel Ant-Man And The Wasp. I don’t think the fact that it was a Ford Econoline was a particular plot point; it was pretty much just supposed to be a generic old van for the movie’s purpose. The only other movie I know of where one of these plays a part is the 1971 James Bond flick “Diamonds Are Forever.” You remember: the one with the fantastical Shirley Bassey theme song? Anyway, I didn’t expect to find a car connection in the new Avengers trailer but lucky me, I had a professional excuse to watch it a third time! Correction: I called originally Paul Rudd’s character “Stephen Lang” when in fact the dude is called “ Scott Lang.” Sorry guys! Oh Did You Not Realize Captain America: Civil War Is Actually A Car Commercial?